I’m often away from my lab and need to carry on working, in airports, co-working offices, at customer premises and so on. Of course, I have a laptop, but that only goes so far when you’re working on embedded Linux hardware. I need to be able to take the hardware with me, and work with it. Recently I’ve been doing some work with the Raspberry Pi. The Pi is normally set up so that you plug a monitor, keyboard and mouse into it and use it as a desktop computer. That’s OK, but inconvenient for travelling with. You can also log in to it over a network, but that’s not a great idea when I have no idea what networking facilities, if any, will be available where I’m working. 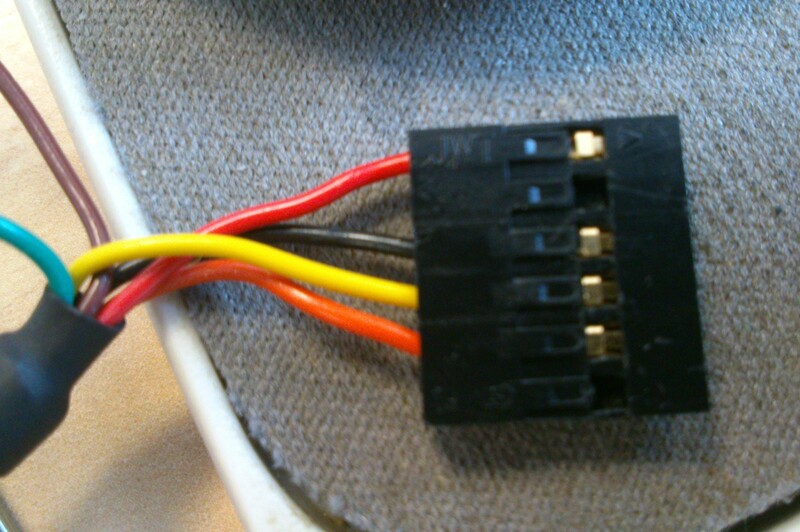 My preferred way of talking to embedded systems is old-fashioned: over a serial port. It may not be the fastest, but it’s reliable and need no infrastructure at all. The Raspberry Pi has a serial port on its GPIO connector, pins 8 and 10, and the standard Raspbian Linux distribution has it set up to be a console. That’s just what I want. Now I just needed a way to connect it to my laptop. As luck would have it, FTDI make some handy USB-to-serial converter cables. The one I chose for this application is the TTL-232R-3V3. They’re available from various places, but I bought mine from Farnell, part number 1329311. 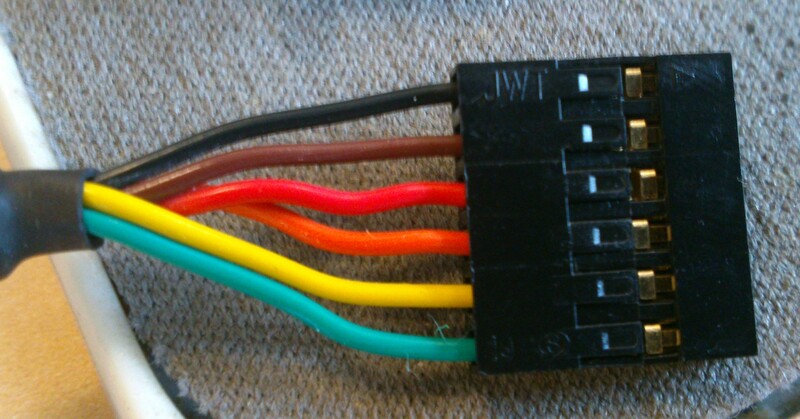 The spare brown and green should be cut off or insulated. It works! I can drive a Raspberry Pi from my laptop with just this one cable. Very handy. Just be careful to plug it in to the right place on your Raspberry Pi’s GPIO connector, right in the corner. Any other location will apply 5 volts to a pin which isn’t expecting it, and could damage your Pi. There are a couple of finishing touches, however. I like to be allowed the responsibility of logging in as root, which Raspbian normally has disabled. It may not be good for schoolchildren to be able to do this, but for embedded developers fiddling with kernel drivers, it’s a great time-saver. Then enter your desired root password twice. 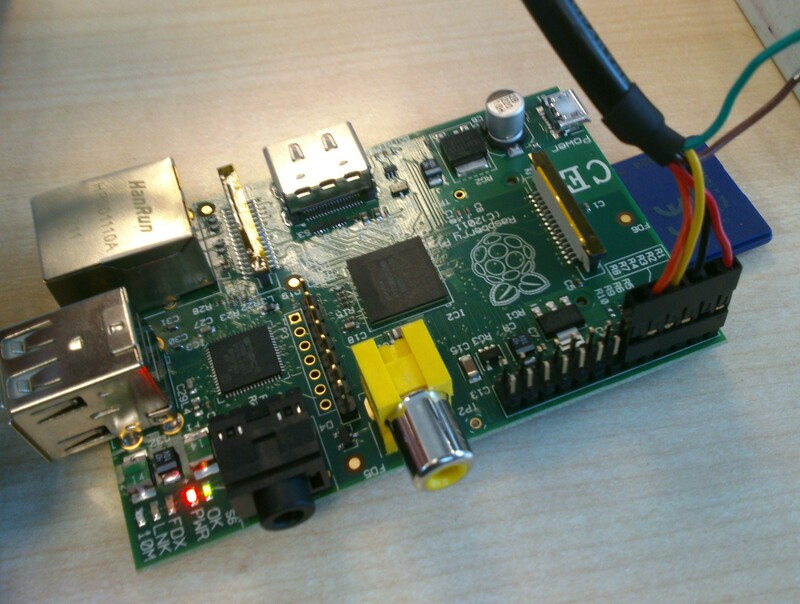 This entry was posted in Raspberry Pi and tagged ARM, electronics, embedded, linux, Raspberry Pi on May 23, 2013 by martinjonestechnology.